Photo courtesy of Sydney Missionary and Bible College. Used by permission. Today’s church is faced with a historic opportunity. The internet gives us the ability to present the gospel to untold millions of people who have never committed their lives to Christ. The opportunity which has been presented to us is, in many ways, not unlike the opportunity faced by the first-century church. The first-century church often used a particular strategy to spread the gospel. And that strategy took advantage of the circumstances and the technology of the day. Walter Wilson (to whom I am indebted for many of the thoughts and concepts in this introduction), in his excellent book The Internet Church, describes the circumstances which God had orchestrated to facilitate the spread of the gospel in the first century. The Roman Empire had built a series of roads to enable them to quickly deploy their armies throughout the empire. Koiné Greek had become the common language throughout the empire. And the widespread use of writing had become the cutting-edge technology of the day. The church’s strategy was to use all of those “technological developments” to spread the gospel. While the Roman Empire built their road system to allow their armies to move quickly, Christian missionaries took advantage of that road system to spread the gospel. They would travel the roads from city to city, and when they reached a city, they would very often go to the “agora,” the marketplace – the location in each city where the majority of the residents, as well as the community’s most influential thinkers, gathered on a regular basis to obtain information and for social interaction. And it was there, in the midst of the “agora,” that Christian missionaries would declare the gospel, using the common language of Koiné Greek. Today, the church is faced with a similar historic opportunity. In many ways, English is becoming a worldwide language. It is the language of international business and economics. Secondly, in many ways, it is no longer necessary to use roads or other physical means of travel to reach other parts of the world. Today, the “information superhighway” provides the means by which we can “travel” throughout the world. Finally, the “agora” of today is in many ways no longer a physical place and is much vaster than the first-century agora. The internet (consisting primarily of the World Wide Web, email, usenet newsgroups, chatrooms, and instant messaging) is the new “agora,” the “place” where an increasing number of people, and certainly where some of the world’s most influential people, gather. access a wide range of information. One out of every 4.5 people in the world has been online. One out of every 1.6 people in the United States has internet access. 38 new users join the internet every minute in the United States alone. In Peru, for the price of a postage stamp, you can get 15 minutes in front of a computer in an internet café and log on to a free email account and surf the web. Computers are now outselling television sets in most developed countries (even when handheld devices are not counted). Current email volumes exceed the delivery volumes of all post offices in the world combined. Every second, nearly 36 individual web pages come online (just to put that in perspective, in the United States, there is a birth every 8 seconds). Over 5,700 instant messages are exchanged every second (that’s 1.5 billion instant messages every month). More than ninety percent of children under the age of 13 regularly use a computer at school. Eighty-six percent of American students have gone online, compared to 59 percent of the general population. Ninety-two percent of college freshmen have internet access. Sixty-two percent of Americans use the web to seek out spiritual information. The second most popular topic in Google’s approximately 200 million searches per day involve questions regarding God and Jesus Christ (2/3 of those searches come from outside the United States and in 88 different languages). This is just the beginning of a wrenching change that is racing throughout the world. The term used to describe this change is radical discontinuity – change so fast that we have no explanation for it. If you think that all of this comes out of Silicon Valley, you’re on the wrong track. This is not about human inventions or creative schemes. These developments are about something much bigger and far more dramatic. In fact these events are not about technology at all – they are about the Great Commission. Change this big is being orchestrated by God, not by man. Today, the church has been given the opportunity to travel the world via the internet and declare the gospel in the midst of today’s marketplace. The internet is therefore a core component of what the church’s strategy should be to reach the world with the gospel. There has been much discussion of late among Christian thinkers about how best to use the internet (websites, email, chat rooms, instant messaging, etc.) for evangelism and outreach to unbelievers. Various methods are often discussed, including evangelistic websites, frequenting chat rooms, sending email, etc. While various methods of internet evangelism are discussed, however, we often forget a foundational biblical principle of evangelism which is just as crucial for internet evangelism as it is for more traditional methods of outreach. According to the New Testament, authentic Christian community is the foundation of effective evangelism and outreach. According to these verses, if Jesus’ disciples are one, the world will believe that the Father has sent Jesus. If Jesus’ disciples are perfected in unity, the world will know that the Father sent Jesus and that the Father loves them as He loves Jesus. The converse is true. If Jesus’ disciples are not one, then the world will not believe that the Father sent Jesus (this also implies that the world will not believe in Jesus’ mission – the world will not believe that Jesus died for their sins). If Jesus’ disciples are not perfected in unity, then the world will not know that the Father sent Jesus and that the Father loves them as He loves Jesus. This means that the environment of an authentic Christian community is required for effective evangelism and outreach. A conversion which takes place without a prior experiential knowledge of authentic Christian community must be considered suspect in its depth and permanence. If it’s true that the internet should be a core component of the church’s strategy to reach the world with the gospel, and if it’s also true that the environment of an authentic Christian community is required for effective evangelism and outreach, those two facts beg the following question: how can the internet be used for evangelism and outreach while maintaining an environment of authentic Christian community? when it places unbelievers in ongoing contact with more than one local believer with a vital faith. These are the core concepts behind what is sometimes called “oikos evangelism” with “oikos” being the Greek word for “household.” It has been increasingly recognized by church growth theorists that the primary method of evangelism reflected in the New Testament and the most effective form of evangelism today is one in which believers reach out to the people who make up their “oikos” – their family, friends, acquaintances, colleagues, etc., and that the message of the gospel spreads through these small networks consisting of believers and unbelievers who have ongoing contact and relationship with each other. For many Christians, evangelism has become institutionalized, impersonal, and far removed from our everyday lives. We tend to think of evangelism as a professional ministry – the duty of the pastor or select lay leaders in our church, people with “the gift.” With our culture’s emphasis on bigness – huge, evangelistic extravaganzas, big-name preachers, and mega-churches – we sometimes forget that many people come to know Christ not through the efforts of superstar evangelists, but because of personal contact with caring and devoted Christian friends. How can we take advantage of the cutting-edge technology we have been given and yet remain faithful to the biblical call to authentic community as the foundation of effective outreach? Are the technology and the biblical call mutually exclusive? How can our two foundational assumptions be maintained in the context of internet evangelism? How can internet evangelism be local (at most, county-based), and how can internet evangelism be used to place unbelievers in ongoing contact with more than one local believer with a vital faith? This is our challenge – to use the internet to place an individual unbeliever in close contact with several believers with a vital faith who live in the same county as the unbeliever, and to repeat that facilitation of contact numerous times. The solution to the challenge of how to use the internet for evangelism and outreach while maintaining an environment of authentic Christian community lies in an enhancement of a concept in internet evangelism which is growing in popularity – community websites with an evangelistic focus. Community pages are the amazing strategy for online outreach which very few people are yet using. The concept is to create a site based on the local community – town, local area/county, state, even a small country. The site must offer the best secular links for the community in a range of categories. It must be a genuinely useful resource at this level. But it also contains appropriate Christian links in various categories. The more comprehensive it is, the more that people in the area will use it as their one-stop local neighborhood site, maybe setting it as a ‘start page’ in their browsers, and become frequent return visitors. The whole strategy is based on having secular links which really are well-chosen and useful. A good site based on this strategy could become the definitive resource for a town or area – thereby getting potentially thousands of hits a day. The Christian links are there when people wish to look at them, and precisely because they are not preachy and in your face, they have credibility. The page should not ‘look’ Christian at all. The enhancement to this concept which we anticipate implementing is a system to facilitate contact between believers and unbelievers in a particular locality, which, if our assumptions are correct, is crucial for the effectiveness of internet evangelism. We need websites which will draw general traffic (not just believers), and will create interest among unbelievers in the stories of real people who are believers, and which will then facilitate contact between unbelievers and believers. We propose the development of thousands of county-based websites dedicated to presenting the gospel to unbelievers by facilitating contact between local believers and unbelievers with similar interests and life experiences in their counties. Such contact will be facilitated primarily through the presentation of hundreds of profiles of local believers, corresponding to various categories of interest. These websites will draw traffic through becoming the de facto web-based resource for residents of their county. This will be accomplished by featuring a comprehensive set of links to websites of particular interest to county residents, a county-wide calendar of events, local news items of interest to families, a classified advertisement system, etc. The sites will include links to the websites of local businesses, schools, churches, youth organizations, community organizations, family resources, senior resources, government agencies, employment resources, entertainment options, etc. In many ways, these websites will be “Yahoo!-like” portals for their particular counties. Through their comprehensive sets of links, as well as ongoing marketing activities such as search engine positioning, online and print advertising, word of mouth, etc., these websites will draw an increasing number of visitors. The goal will be for these county-based portals to become the web-based resources to which their county’s residents turn first for information on their county. collections of favorite web resources which will correspond to various subjects and interest categories which will appeal to Santa Cruz County residents. The idea will be to present an engaging profile of each believer which will include information on their interests and life experiences (auto racing, surfing, cancer, music, art, hepatitis c, etc. ), but which will also include a tasteful presentation of their testimony and how their relationship with Jesus integrates with their interests and life experiences. Introductions to believers to be profiled will be obtained through relationships with the pastors of local churches. These profiles will also be made available (through syndication technology) to the churches of profiled believers for use on their individual church websites. Each county portal will enable website visitors to contact the people who have been profiled on the website through the use of email and instant messaging technology, thus facilitating face-to-face contact between unbelievers and believers with similar interests and life experiences. 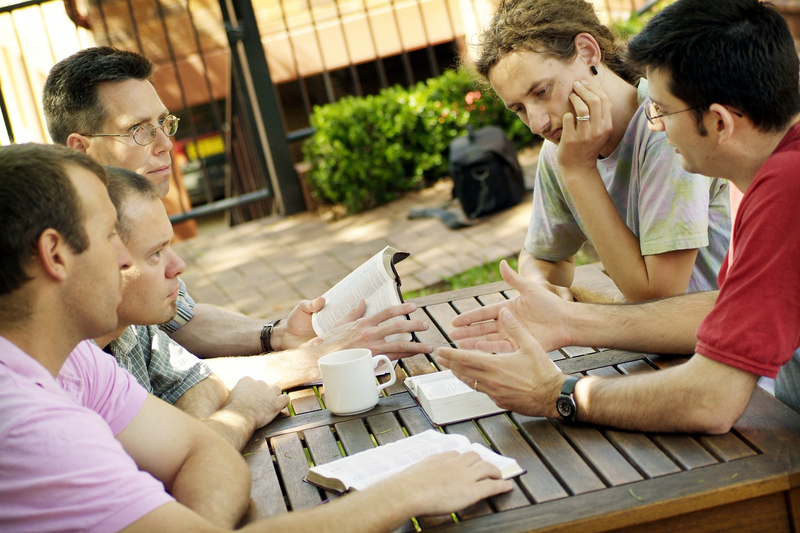 Interested unbelievers may also be referred to specific Christian support groups when appropriate. These contacts will draw unbelievers into the circle of friends and acquaintances of one or more believers, thus exposing them to the authentic Christian community which will demonstrate to them the love of God and the reality of Jesus’ mission. For example, a page of links to cancer resources in a particular county would also contain links to profiles of 3-5 believers who are cancer survivors and who live in the county. These profiles would include general information about the believer, how they felt when they discovered they had cancer, how their faith enabled them to cope with the disease, what their ongoing struggles are, etc., along with the opportunity to contact the believer through an email form. The ultimate goal would be to include at least 3-5 profiles for every link category on each website. Through this system of interest-related profiles, our mission of connecting believers and unbelievers in thousands of counties and facilitating face-to-face relationships will be accomplished. County representatives will maintain ongoing contact with all profiled believers (at a minimum, through online message boards, chats, emails, etc., but ideally through face-to-face conversations and phone meetings) to monitor progress toward meeting objectives and to encourage profiled believers in their contacts with unbelievers facilitated through county portals. The opportunity which has been presented to us is crucial for evangelism in a postmodern world. The church risks being seen as irrelevant by emerging generations because of its failure to use the internet in an effective manner. We must aggressively seize the opportunity and establish a presence in the midst of today’s marketplace so that we can effectively declare the gospel to the internet generation. County-based portals such as those described in this white paper effectively use the internet but also hold true to the Biblical principle of authentic Christian community as a foundation of outreach and evangelism. * While chat rooms, instant messaging, and email lists can be valuable supplements to community, it is our conviction that electronic modes of communication will never replace the accountability and encouragement that is found in face-to-face Christian community. When I’m in front of my computer, I can always “turn you off” if I don’t like what you say. That’s not so easy in the context of face-to-face relationship. 1Walter Wilson, The Internet Church (Nashville: Word Publishing, 2000), pgs. 12-15. 5Andrew Careaga, E-vangelism (Lafayette, Louisiana: Vital Issues Press, 1999), pgs. 29-30. I recognise the bulk of this post from a white paper you published some 13 years ago. I am interested in the proposal you made re ‘county-based’ websites. Do you know any church communities that have successfully adopted this approach. I’d like to learn from their experiences and/or any barriers that might have been met with launching or managing such a site and lessons learned. Hi Paul. Sorry for the lateness of my reply – for some reason, I didn’t receive a notification that you had commented and I unfortunately just saw your comment today. Unfortunately, I don’t know of any specific church communities that have adopted the approach. One church I worked with started along the path, but then gave up on it when a new associate pastor was hired and took over responsibility for the website. While the previous associate pastor was very committed to the concepts I advocate, the new associate was not interested in them at all, had his own ideas of what a Christian website should be, and had me replaced with a friend of his. This page from the Internet Evangelism Day site – http://www.internetevangelismday.com/community.php – does have three examples of Christian websites that are community-oriented (but to my knowledge, not primarily sponsored by a church community), but unfortunately only one (Kamloops Life) is active. This page on Kamloops Life – http://www.kamloopslife.com/people/index.html – has a few profiles of what I assume are local believers.